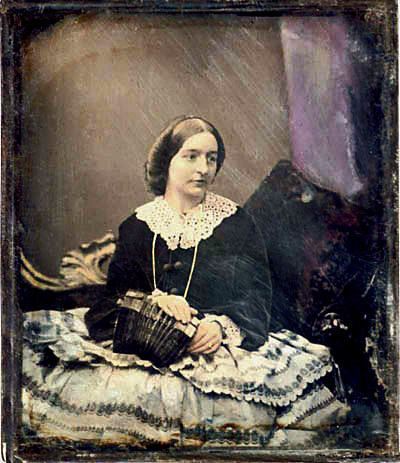 The Picture Gallery for this issue features a photograph—after a daguerreotype from the London studio of Antoine Claudet, c. 1857—of Ms Mary Baker (d. 1882), nicknamed ‘Min’, holding an English concertina, probably a Wheatstone (see picture). reproduced with the kind permission of Rev. Ian Graham-Orlebar, a descendant of the Baker family. 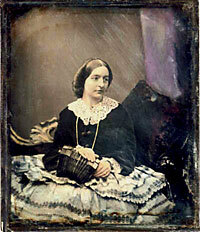 Finally, Mary might not have been the only member of the family who played the concertina, as the Wheatstone sales ledgers also record transactions for a Mrs and Mr Baker, with the latter having purchased his concertina on 23 August 1859, just four days prior to Ms Baker’s final transaction. Pat Shipman ( ) is Adjunct Professor of Biological Anthropology at The Pennsylvania State University. Dr. Shipman, in the early part of her career, was a taphonomist who pioneered the use of scanning electron microscopy in studies of ancient bone assemblages to determine whether the bones were modified by animals or hominids. She studied fossil assemblages from early Pleistocene sites in Kenya and Tanzania and has examined purported worked bones from Europe and North and South America. In recent years, she has concentrated on the history of anthropology and evolution. Her research concerns who makes discoveries and why and how they are interpreted. She has written several books on the subject enjoyed by both general and specialist audiences, including Taking Wing; Archaeopteryx and the Evolution of Bird Flight (New York: Simon & Schuster) which won the Phi Beta Kappa science book prize. The original version of this article appeared in Papers of the International Concertina Association, Vol. 3 (2006), pages 36–37. The original version of this article appeared in PICA [Papers of the International Concertina Association], Vol. 3 (2006), pages 36–37.